The only catalogue seen is 1873 (Minet Library). 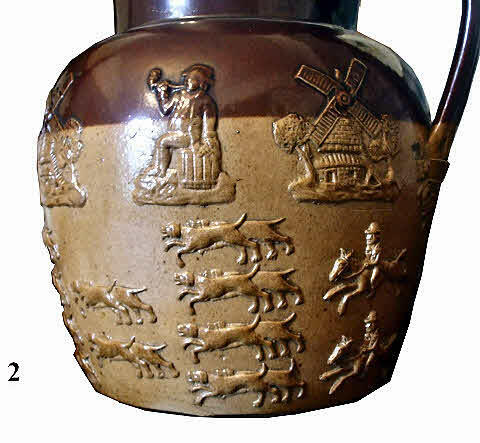 This offers exactly the range offered by Doulton at the time, from one quarter pint up to one gallon (8 pints). 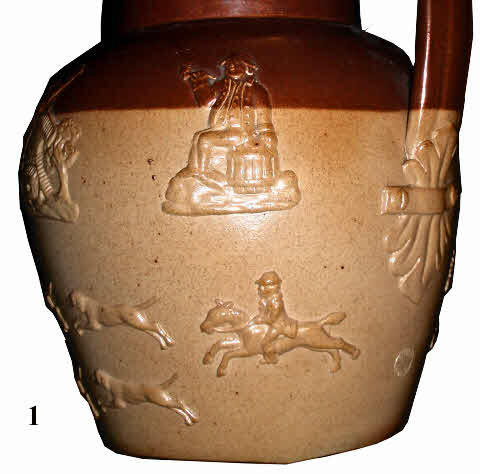 Larger sizes must have been available to special order as two and three gallon jugs are known to exist. 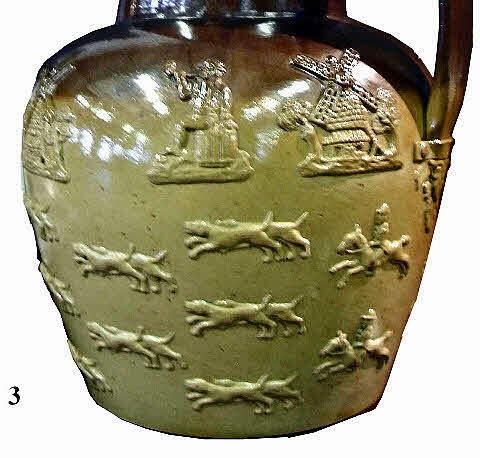 The images, shown below, are of a standard one gallon jug (2 rows of dogs), a two gallon jug (4 rows of dogs) and a three gallon jug (5 rows of dogs).